Refrigerator repair jobs should be left to professional repairmen. If you need a refrigerator repair in Campbell CA, we are here to help. 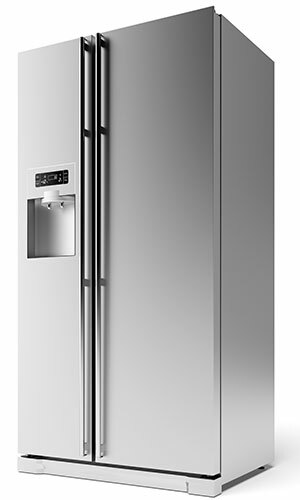 We have served the Campbell CA area as a leading refrigerator repair service provider for a number of years. This has lead us to become accustomed to just about any refrigerator problem you can throw at us. Our repair techs are licensed and highly qualified for any appliance repair job. When it comes to refrigerator repair jobs, we've literally seen it all. Whether your refrigerator is leaking, not powering up, cooling poorly, or not defrosting, we will figure out which refrigerator parts are to blame. From there, we will let you know the cost of replacing the refrigerator parts, factoring both parts and labor. We will quickly head out and get the refrigerator parts in Campbell CA from a nearby parts supplier, if you hire us for the job. Every refrigerator repair in Campbell CA begins with a simple phone call. We go over the details of your appliance issues and figure out a time to go check it out further. Then, one of our Campbell refrigerator repair technicians will show up and diagnose the problem. You can price things out and decide if the repair is worth it. When doing so, also factor in our current discounts; we strive to provide the most affordable appliance repair services to the Campbell CA area. Don't be afraid to contact us if you run into any refrigerator problems. We have dealt with thousands of defective refrigerators over the years and we're no stranger to the community. We take great pride in the high caliber repair services we provided and we have no doubt you'll be fully pleased once we get your refrigerator fixed. The back bottom panel of your refrigerator must be on when the appliance is in use. There will be a break in the airflow if it is off. Instead of air traveling in by the condenser, it will be pulled into the back. This will cause too much air to come in at once and dirt will come in with it, which will eventually cause the condenser fan to clog and cease operations. If your fan stops working, check to see if there's a blockage; it's also possible the fan motor will need replaced.